Carrie Flower was written by Cynthia Wood Post and illustrated by Kirby Brislin. This mother/daughter duo began their journey with children's books when Cynthia attended a leadership course and was motivated to share stories about her life experiences of battling cancer, divorce, death, illness, acceptance, and healthy living. She was encouraged to make her writings into a children book series. Who better to illustrate the series than her own daughter, who has always had a passion for art and design. In 2010, three stories were written, illustrated, and published about a sunflower girl named Carrie Flower who learns to be healthy, battles diversity and encounters illness. A Carrie Flower doll was handmade in Pennsylvania to go along with the series. All books were printed and published in Pennsylvania as well. The dolls and books premiered at the Please Touch Museum in Philadelphia with a small skit introducing Carrie Flower to the world! Since the inception of Carrie Flower, the brand has grown! The team consulted with Dr. Michael Garzella and together created a comprehensive social & emotional program for Carrie Flower. Added to the series, is a Carrie Flower Teacher’s Manual and a fourth book titled, Carrie Flower Deals with Teasing, co-authored by Dr. Garzella and Cynthia. The books were redesigned by the talented Janice O'Brien to give them a fresh look. This Carrie Flower Curriculum aligns 100% to the PA early learning standards for social & emotional teachings. Our Carrie Flower dolls have expanded as well! 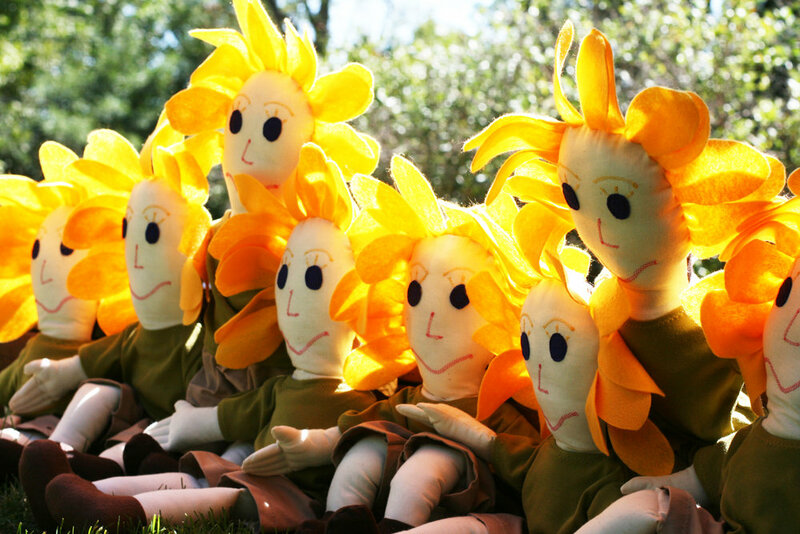 We have hand puppets of all of Carrie Flower and her camp friends and a Buzzy the Bee! Carrie Flower helps children foster a sense of who they are, how they learn and helps them establish quality relationships with others. It is what drives an individual to communicate, connect with others and more importantly helps them resolve conflicts, gain confidence and reach goals. Using a metaphor that encourages us all to see ourselves as flowers in a garden. We are all unique and special, with different shapes, sizes, and colors. Together we make a beautiful bouquet. Thank you for following along with our small business as we spread seeds throughout the world!